Semiconductor stocks are struggling in September, a fact reflected by the PHLX SOX Semiconductor Sector Index. That well-known benchmark of chip stocks is down 1.72 percent month-to-date as analysts and industry ratchet down demand expectations. “Memory markets have worsened in recent weeks. For DRAM [memory chip], demand is weakening, inventory and pricing pressures are building, and vendors are struggling to move bits," according to Morgan Stanley via CNBC. “In NAND [flash memory], there is just too much supply. Earnings risks are emerging from 3Q and our cautious view on memory is playing out." Recent weakness in semiconductor stocks is prompting some investors to step back from exchange traded funds (ETFs), such as the iShares PHLX Semiconductor ETF (NYSE: SOXX), which tracks the aforementioned PHLX SOX Semiconductor Sector Index. For the week ending Sept. 7, SOXX bled $393 million, including $259 million on Friday alone, one of the ETF's worst days of outflows since coming to market over 17 years, according to Bloomberg. 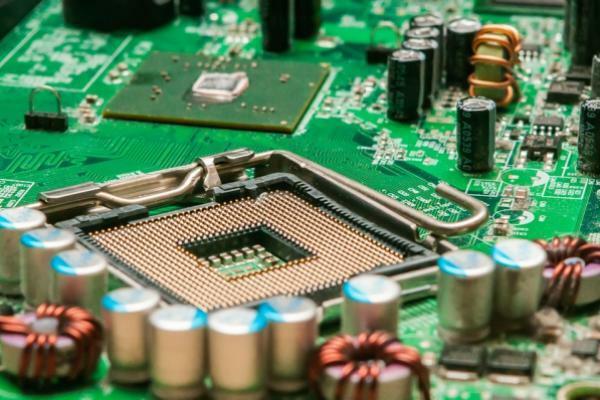 Some of the money departing traditional semiconductor ETFs may be headed to inverse leveraged counterparts, such as the Direxion Daily Semiconductor Bear 3X Shares (NYSE: SOXS). SOXS attempts to deliver triple the daily inverse performance of the PHLX Semiconductor Index. That index allocates over a quarter of its combined weight to Qualcomm Inc. (NASDAQ: QCOM), NVIDIA Corp. (NASDAQ: NVDA) and Texas Instruments Inc. (NASDAQ: TXN). Data confirm that SOXS has recently been a prime destination for traders looking to make bearish wagers against chip stocks. Over the past month, a period in which investors departed some chip ETFs, the bearish SOXS is averaging daily inflows of just over $851,000, according to Direxion data. SOXS is Direxion's top asset-gathering leveraged inverse ETF over that period. Ongoing downside for chip stocks will boost SOXS over the short-term. The Direxion Daily Semiconductor Bull 3X Shares (NYSE: SOXL) needs the reverse to happen. SOXL looks to deliver triple the daily performance of the PHLX Semiconductor Index and has recently seen departures as short-term traders grow bearish on semiconductor stocks. A New Cheap Bond ETF.